2.5 yards pink 1" ribbon. 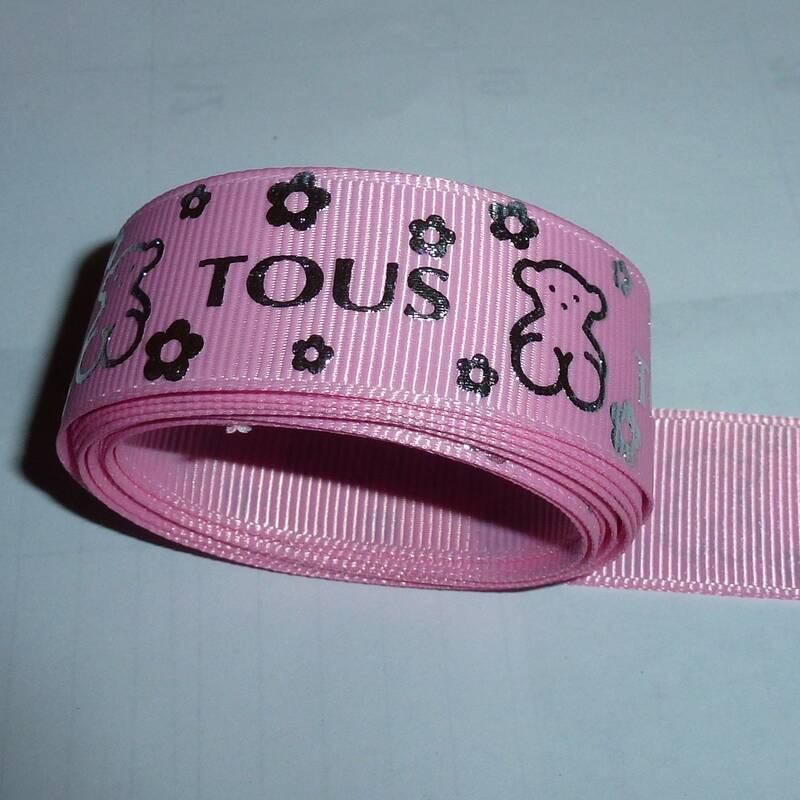 This ribbon has the french word "tous" on it, which means "all". I don't know, nor do I claim this has anything to do with the Spanish jewelry type company of the same name.